Binsar Mahadev the artistic structure of the Binsar Mahadev Temple and its deity Lord Shiva both adds positive vibes to our mind and soul. A beautiful stream flowing close to the Binsar Mahadev Temple adds amazement to the natural beauteousness of this sacred place. Binsar Mahadev Temple is situated amidst beautiful pine and deodar trees. Golf Course is one of the highest golf courses of Asia, located 5 kilometres (3 mi) from main Ranikhet City. Ranikhet Golf Course is a 9-hole course making it one of the prime attractions of Ranikhet. The green meadow of the golf course at such high altitude is awe-inspiring. The golf club provides membership plans for outsiders as well. 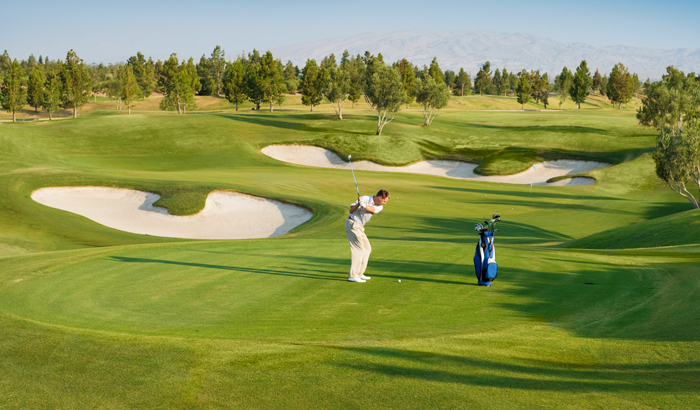 Golf course is located in KALIKA. Jhula Devi temple is situated at a distance of 7 kilometres (4 mi) from the town of Ranikhet near Chaubatia. It is said that the dense jungle near the temple was once full of wild animals, leopards and tigers used to attack local villagers. The villagers prayed to Maa Durga for protection, and one day Goddess Durga came in a shephard's dream and advised him to excavate her idol. This temple was constructed at the spot where the shepherd found Goddess Durga's idol. Since then pilgrims come to make a wish to Goddess Jhula Devi. 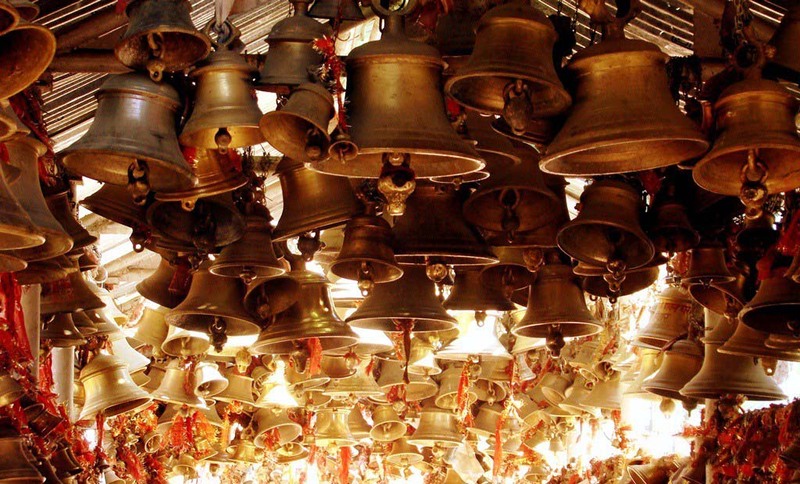 And when their wish is fulfilled they come again to thank Jhula Devi Maa by offering a bell to the temple. Rama Mandir (temple) Located in the vicinity of Jhula Devi temple is the Rama Mandir, dedicated to lord Rama. A small flight of stairs goes to the hilltop where the temple is situated. Rama Mandir has a monastery where students are taught ancient vedas along with vedic and modern mathematics in direction of Sant Sri Mouni Maharaj. People who have a keen interest in vedas should not miss the chance to visit this temple. 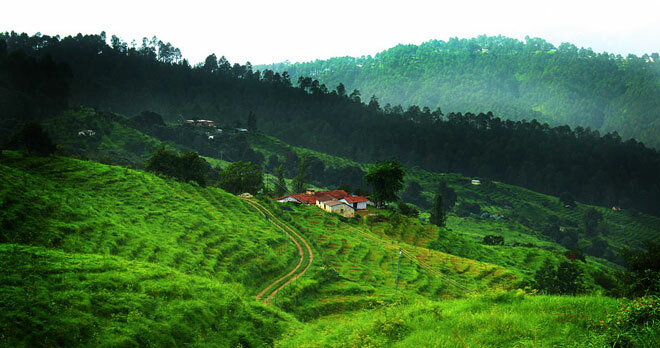 Ashiyana Park is situated in the midst of Ranikhet town. The Park is specially designed & developed for children on jungle theme by Ranikhet Cantt. Mankameshwar Temple is attached to the Nar Singh Maidan (Ground), constructed by the Kumaon regiment. Opposite the temple is a Gurudwara and a Shawl factory. Rani Jheel is another jewel added to the beauty of town "Rani Jheel". Located nearby Nar Singh Stadium, beneath the Veer Naari Awas it gives the visitors a chance to relax and enjoy the ride of Boats. Haidakhan Temple situated 4 km from Ranikhet, Haidakhan Temple (Hairakhan Temple or Chilianaula) is dedicated to Lord Shiva made by Shri Haidakhan Maharaj who is said to be the incarnation of Lord Shiva. The splendid views of the gigantic Himalayan peaks are clearly visible from Haidakhan Temple. Bhalu Dam or Baludham is an artificial small lake blessed with natural bounteousness, panoramic views of the Himalayan Mountains and placid surroundings. The small but beautiful garden nearby the dam is marvelous. The dam site is open for all the tourists throughout the year. The views of the massive Himalayan peaks are enchanting and ravishing from Bhalu Dam. It is an ideal spot for camping and picnicking. St. Bridget Church it is an old church in Ranikhet town. 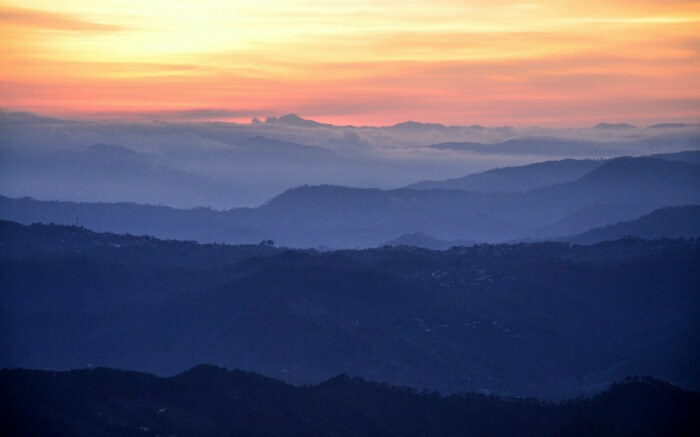 Majkhali located at a distance of 12 km from Ranikhet, on the way to Almora, Majkhali offers a close view of the snowy Himalayas with peaceful surroundings. It is a picnic spot on the Ranikhet-Almora road. Katarmal (Sun Temple) is the second most important temple to Sun God, the first one is Konark Sun Temple in Orissa. Katarmal is more than 800 years old. Situated 25 km from Ranikhet this historical temple is an example of intricate sculpturing. Tarikhet is located at a distance of 8 kilometres (5 mi) from Ranikhet is well known for its Gandhi Kuti, and the temple of Golu Devta is venerated in the Kumaon region. It is famous for the Gandhi Kuti and the temple of Golu Devta. 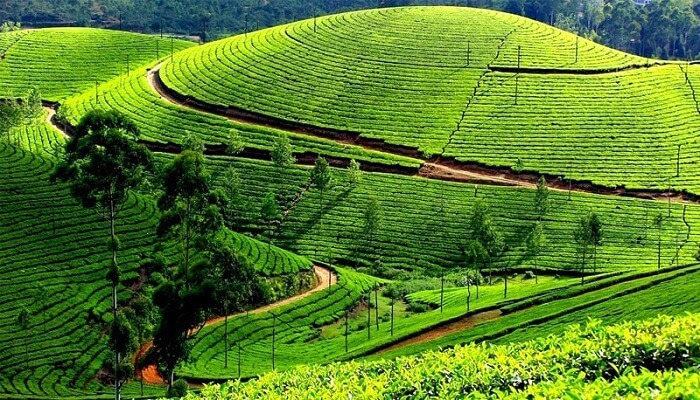 Syalikhet is a scenic spot with unparallel beauty situated at a distance of 25 kilometres (16 mi) from Ranikhet. Syalikhet is located in the amidst green forest and apple orchards. 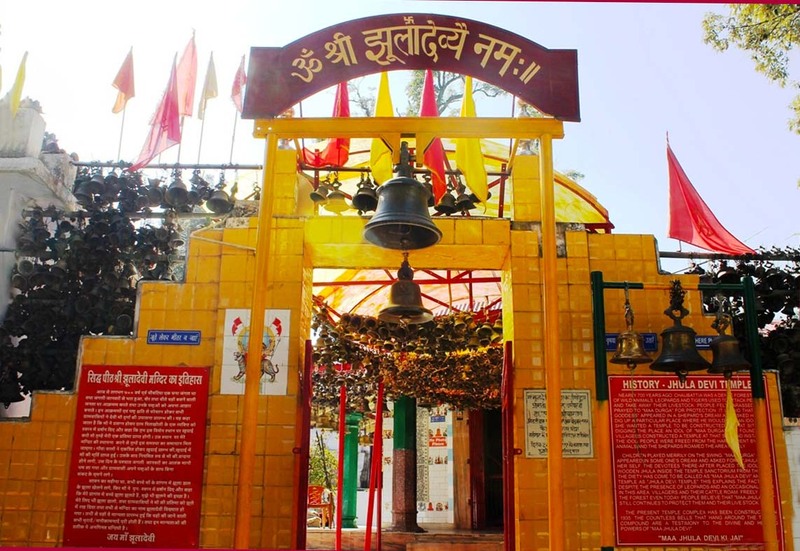 The famous temple of Syahi Devi is situated in Syalikhet.